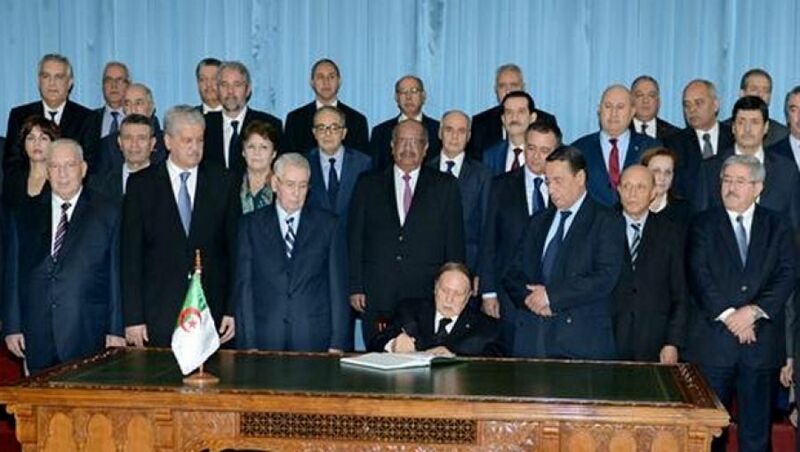 ALGIERS- President of the Republic Abdelaziz Bouteflika signed Wednesday in Algiers Finance Act 2016. The Head of State inked the Finance Act 2016 at the Presidency of the Republic, in presence of top state officials and members of the Government. Based on US$37 a barrel as oil referential price and an exchange rate of DZD98/US$1, the Finance Act 2016 expects non-hydrocarbon economic growth to reach 4.6% and inflation to be 4%. It expects the total expenditures to reach DZD 7,984.1 billion, down by 9% compared to 2015. A total of DZD 4,807.3 billion will go to operating expenditure and DZD 3,176.8 billion to capital expenditure. The Finance Act 2016 banks on DZD 4,747.43 billion (-4.3% compared to 2015).